Dr. Scott Stewart is a dedicated professional in Lakewood, Colorado who has focused his life and practice on providing biocompatible and holistic solutions to patients in the community who are dealing with general, cosmetic, or restorative dental concerns. In addition, he understands the connection between migraines, headaches, and facial pain relating to bruxism or TMJ/TMD. There are treatment options used in his practice to help in providing relief to patients who are experiencing these concerns. 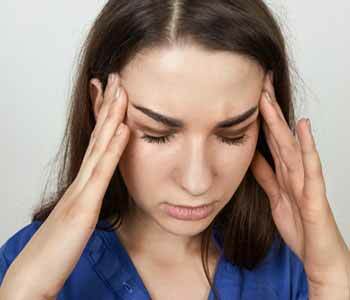 Why do headaches, migraines, and facial pain occur? These problems can cause more than just discomfort. They can affect one’s quality of life. By having a dentist evaluate the smile, one may be able to determine the source of the problem and find a solution. Dr. Scott Stewart of South Lakewood Dental may suggest options such as T-Scan or Trudenta/DTR. Both of these treatment options are available and can be used to address pain and discomfort, as well as symptoms that are caused by these issues. How do I know if my problem is associated with my dental health? The first step in learning more about the reason for your migraines or facial pain is to have an evaluation completed. This may start with your primary physician to ensure there are no other health conditions that are causing these problems. However, if you suspect your jaw or teeth may be the source of the problem, a consultation with a dentist is a great start. Dr. Scott Stewart evaluates his patients regularly to look for signs of these problems, and can ask all the right questions to get down to the cause of the issue. He will look for unbalanced dental forces, improper tooth contacts, and signs of wear and tear, often caused by TMJ/TMD or bruxism. If these are spotted, x-rays may be taken, and a dental history will be assessed. Once patients get a proper diagnosis, then they can speak to our team about appropriate treatment. Dr. Scott Stewart focuses on two methods – Trudenta/DTR and T-Scan. T-Scan is best used for patients who have poor tooth contacts that may result in conditions such as TMJ or TMD. Trudenta/DTR is done if there are issues with muscle tension, range of motion, or bite forces. Both of these methods offer patients solutions for their concerns that do not involve injections or medications. We may also recommend patients seek alternative solutions that can be used with their primary treatment, including muscle manipulation, ultrasound therapy, and even cold laser therapy. He may also encourage patients to try exercises with their mouth and jaw to strengthen the muscles around the temporomandibular joint and help relieve discomfort, in the same way a physical therapist recommends exercises for the treatment of muscle disorders. By following these specific exercises and wearing special orthotics, many patients are able to achieve a better quality of life. However, before starting any treatment, it is best to get a proper diagnosis of the problem first with a thorough evaluation. 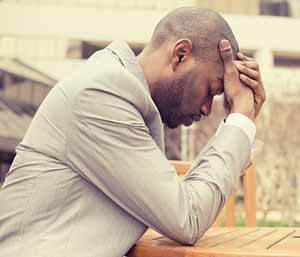 Interested in finding out more about migraine and chronic headache relief? If you are struggling with ways to treat conditions such as TMJ/TMD and bruxism that eliminate facial pain and chronic migraines, we encourage you to book an appointment with Dr. Scott Stewart and the professionals at South Lakewood Dental to learn more about the options for treatment available in his practice. The office is located in Lakewood, CO at 2525 South Wadsworth Boulevard, Suite 11 and can be reached to book an appointment at (855) 233-0023 . We encourage patients to take the time to learn about solutions such as Trudenta/DTR and T-Scan to determine candidacy.